For updated information on current events and new developments, please visit www.trinitygardenssb.org. Trinity Gardens has operated as a community outreach for Trinity Lutheran Church since March, 2012. 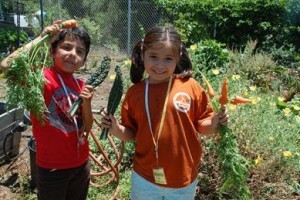 The community garden’s mission is to provide space where church members and the Santa Barbara community come together to grow food and experience educational opportunities in horticulture and nutrition. Food is grown in rented plots, communal growing grounds and an orchard. Weekly harvest is donated to community programs that serve the needy. Current weekly recipients are the Bethel House women’s shelter of the SB Rescue Mission and the Santa Barbara Organic Soup Kitchen. 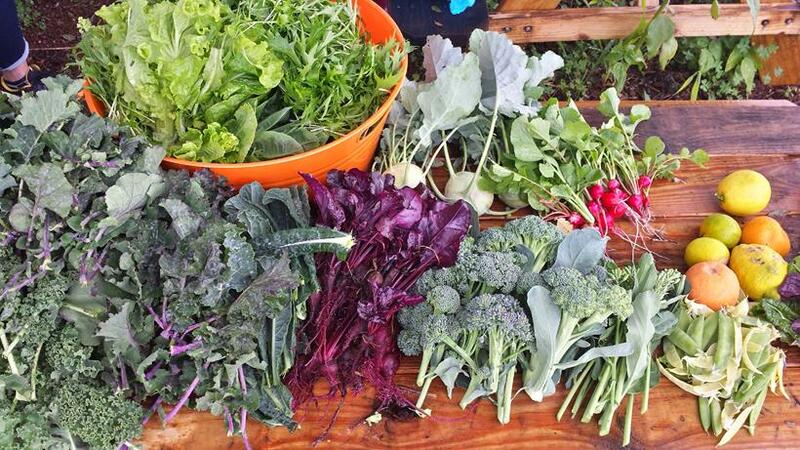 Fresh, organic produce has also been donated to Food from the Heart, Transition House, the Lutheran Food Pantry, and for special garden-sponsored events, including Trinity Gardens’ regular “garden to table” cooking classes. In addition, the garden receives, organizes and distributes large amounts of donated seeds to individuals, schools, other community gardens. The garden’s culinary series, offered through the able leadership of Linda Vogel, brings together up to twelve participants from all walks of life to enjoy healthy cooking lessons and a group prepared meal based on seasonal fresh produce. The church kitchen in the Fellowship Hall offers excellent instructional space. 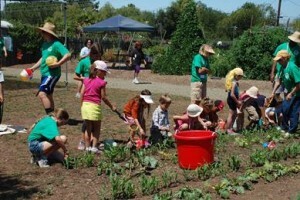 Horticulture classes on composting and growing practices, garden tours, slide presentations, community service opportunities for student groups and volunteers, educational field trips, and support and participation for Santa Barbara community events are other key components of the garden’s approaches to outreach. The garden has hosted a number of special events for the church and community: an outdoor worship service and BBQ picnic, harvest festivals, evening in the garden, Christmas party and craft workshop, plant sales, pumpkin patch, educational field trips for school groups, and garden-based components for TELC’s Kid’s VBS Camp. Fundraising events help support garden operations. Funds to maintain the garden are in part generated from plot user annual fees of $150, plant sales, and fundraising events. Other essential support includes generous donations of time, materials and funds, which are in part secured through grants. Two composting areas, an orchard and memorial site, a large cut flower growing bed, seed greenhouse, wine barrel herb garden, fresh produce washing station, and lower orchard access are among recent projects. Future developments include a chicken coop, seed bank, beehive, and outreach materials storage shed once funds are secured. If you would like to help fund these developments please contact committee co-chair mavogel41@gmail.com. The committee produces a monthly newsletter, submits reports, announcements and articles to TELC and the news media, maintains a community sign board, a website, www.trinitygardenssb.org and is on Facebook at trinity gardens TELC SB. Monthly committee meetings are held first Wednesday evenings in the church administration building, 5:30 to 7:00, with posted agenda and minutes. Committee co-chair Matt Vogel is available at 805-450-3258, mavogel41@gmail.com, and garden manager Keith Bartlett may be contacted at 805-453-5392, kab1718@gmail.com. The garden is open to visitors Sundays, Tuesdays, and Thursdays, 9am-12pm, and by arrangement. Garden use guidelines are posted for plot users and visitors.